These days, there are many places online where you can watch popular TV shows for free, but not all of them are created equal. Some offer only a very limited selection of content, while others are overflowing with ads and pop-up windows to such an extent that they’re barely usable. Fortunately, there are also sites like Project Free TV, which show just how great and accessible online streaming can be. Project Free TV is a free online streaming site that specializes in TV shows of all genres. If you love binge-watching TV shows in your spare time for many hours on end, we guarantee that you’ll feel right at home on Project Free TV. If you’re familiar with the concept of free online streaming sites, you probably won’t be surprised to learn that Project Free TV doesn’t host any episodes on its servers. Instead, the site relies on an extensive network of third-party content providers. On the one hand, this means that Project Free TV can’t guarantee content availability. On the other hand, availability is virtually never an issue because multiple sources are typically provided for each episode. Project Free TV, just like most other free online streaming sites, is ad-supported, so visitors are encouraged to turn off their ad-blocking browser extensions to help keep the site afloat. Of course, you can also decide to keep your ad-block turned on if you don’t want to see any ads. Seriesfreetv is basically a clone of Project Free TV. It has the same design, the same content, and the same features. But what really matters is that its domain name is different, so it works even when Project Free TV doesn’t, which fortunately happens rarely. TV shows are great, but sometimes a thrilling movie is exactly what you need to unwind at the end of a long day. MovieFlixter is a great alternative to Project Free TV because it has not only a broad collection of TV shows but also movies of all genres. TheWatchSeries is another Project Free TV clone. Why should you bookmark yet another clone of a site that already has multiple mirrors? Because Project Free TV is awesome, and you don’t want to lose access to its content should its domain name ever get taken down. If there’s something over-the-top media services like Netflix and Hulu seriously lack, it’s TV shows from Asia. With KissAsian, you can discover the best TV shows from Japan, South Korea, Vietnam, the Philippines, and others. English subtitles are provided for all shows that don’t have English dubbing. Watchseries is a great alternative to Project Free TV that’s especially worth checking out if you like to discover less popular TV shows. The site lets you create a user account or sign in with Facebook so you can receive personalized content recommendations based on your likes and dislikes. South Korean television is crazy. Maybe not as crazy as Japanese television but still crazy enough to deserve your attention. Kshow123 lets you watch all popular South Korean TV shows for free and with English subtitles to help you understand what’s going on. 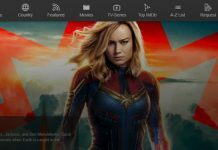 Watchfree is a big-name online streaming site that has it all: Hollywood movies and indie flicks as well as TV shows from around the world. Multiple sources are available for most shows on the site, so you always have several options to choose from if you stumble upon a slow stream. Are you a sports fan? If so, you should pay Stream2watch a visit. 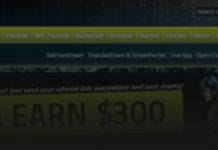 The site has working live feeds and streams for just about every sport out there, including soccer, basketball, boxing, cricket, cycling, darts, American football, golf, handball, hockey, rugby, snooker, baseball, tennis, volley, wrestling, UFC, motorsports, and others. All you have to do to start watching is type the name of an event into the prominent search bar and grab a bag of popcorn (the popcorn is actually optional). After a while, most online streaming sites start to look very similar to one another, so finding one that stands out is quite rare. Movie4k, however, starts out with its polished design, great features, fast streams, and active social media presence. Oh, and the site also has incredible content. Not to be confused with the American entertainment company that provides over-the-top media services, 123Hulu is a free online streaming site where you can watch movies and TV shows without annoying advertisements. The site has everything from action to comedy to drama, so you’re guaranteed to find something worth your time. Online streaming sites like Project Free TV are often monitored by copyright watchdogs and internet service providers and blocked or removed when copyrighted content is discovered on their servers. Even though Project Free TV doesn’t host absolutely any TV shows on its servers, it’s still very likely that the site, and its users along with it, are being monitored. If you’d rather not tell your internet service provider about your binge-watching tendencies, you should keep your online activity private using a virtual private network service like NordVPN, which creates a hack-proof, encrypted tunnel for online traffic to flow, so you can keep your browsing history to yourself. Download the right NordVPN client for your operating system. Log in and connect to any NordVPN server you want. 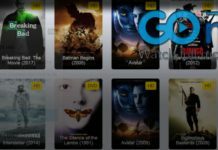 Project Free TV lets you watch all popular and not-so-popular TV shows for free and from anywhere in the world. The site is so easy to use that it doesn’t need an explanation, and all you need to enjoy it is a web browser and a reasonably fast internet connection. Even though Project Free TV doesn’t host any copyrighted content on its servers, some countries would still classify it as illegal, which is why you should always protect yourself using a reliable virtual private network service like NordVPN.